The only memory my father, John Cross, has of his great grandfather, William M. Freeman, is that he used to carry wintergreens in his pocket and would hand them out to his grandchildren. 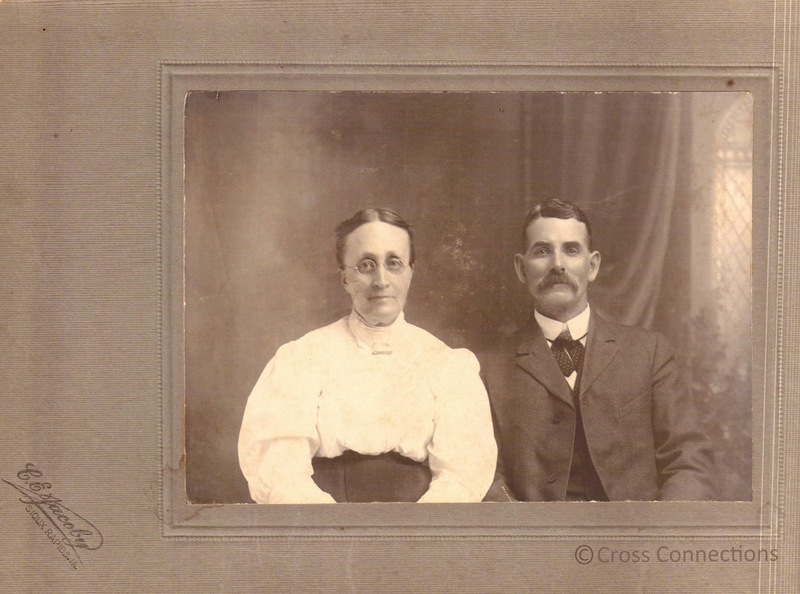 Grandpa Freeman was born in New York in 1853 and died at the home of his daughter, Alida Cordelia (Freeman) Cross in 1935 in Marathon, Iowa. My father was 5 years old when he died. But the mystery is William's father, my 3 g grandfather, Henry Freeman. Henry Freeman was born in 1832 in Barrow, Rutlandshire (now simply Rutland), England. In the 1841 English Census he is listed as the son of William and Elizabeth Freeman living in the Parish of Barrow, Cottesmore, Barrow, Rutlandshire. He has an older brother John, older sister Elizabeth, younger sister Jane, and younger brother Edward. In the 1851 English Census he is no longer living at home. His older siblings, Arnold and Mary and younger siblings, Jane, Edward, and Elizabeth are still living at home. There is a Henry Freeman, same age as our Henry, same birthplace, listed as a servant at the Cottesmore, Parish Church of Oakham, which is 5 miles from Rutland. He is 19 years old. Just two years later, at the age of 21, in 1853, he is in New York, as that is where his first child, William M. (my 2nd g grandfather) is born. I have not been able to find his point of entry into the US, nor do I know who is wife was or when he was married. Two years later, in 1855, he is in Lindon, Iowa Co., Wisconsin, as that is where his next child, James H Freeman is born. Sometime between the birth of James and Christmas Eve, 1859, his wife dies. He is a widowed farmer with two young sons. On December 24, 1859 in Dane County, Wisconsin, he marries Clara Ballard. The Civil War is raging and on 4 April 1862 his son Edward is born in Sauk County, Wisconsin. Is it because he has a young family that he is not fighting? On 1 July, 1863 he completes a Civil War Draft Registration in Spring Green, Sauk County, Wisconsin. To date, no further documentation of service in the Civil War has been found. His last child, Joseph H. Freeman is born 24 June 1864 in Lone Rock, Richmond County, Wisconsin. Was he there for the birth? Was he even alive? No probate records have been found. No death or burial information has been found. Did Henry fight and die in the Civil War? No record can be found of Clara petitioning for a Civil War pension. I had no idea! It's really cool learning this stuff. Thank you for writing about our family. Thank you for taking the time to read it, Georgi!